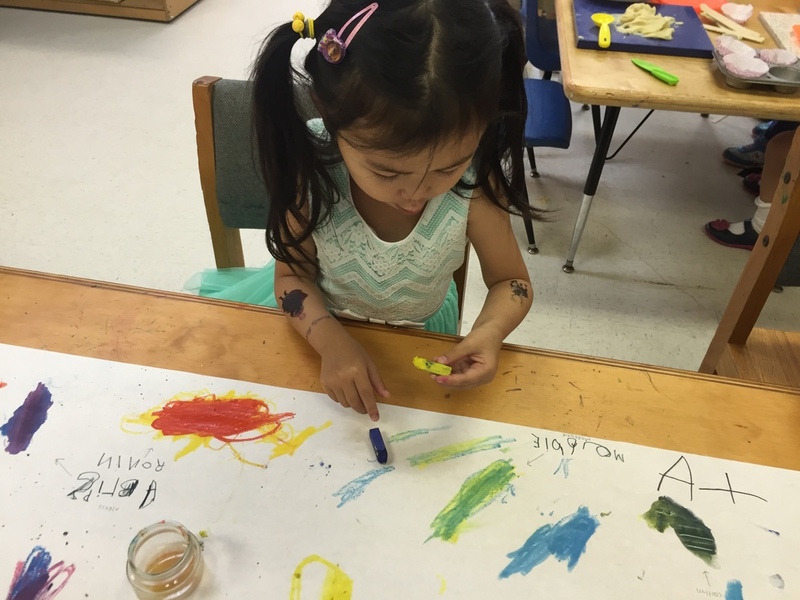 This week, we have had so much fun exploring a new art material- chalk pastels! 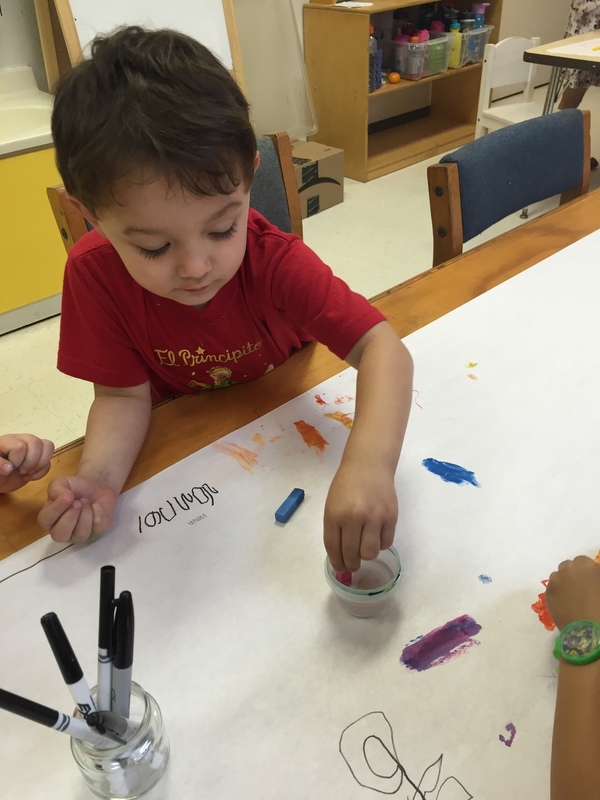 In order to challenge the children a little bit, we have been giving them new materials for them to mix colors with. 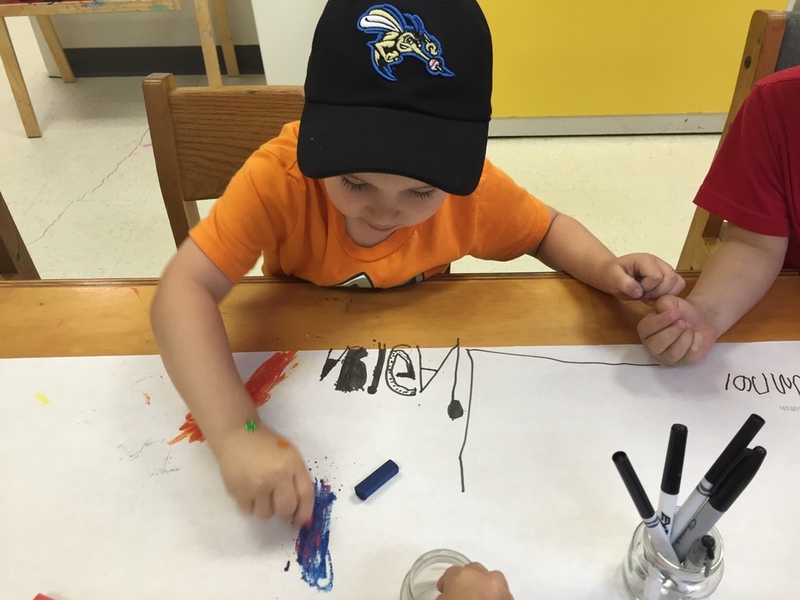 This change of pace keeps them on their toes, excited about learning, and broadens their tool set for artistic expression. 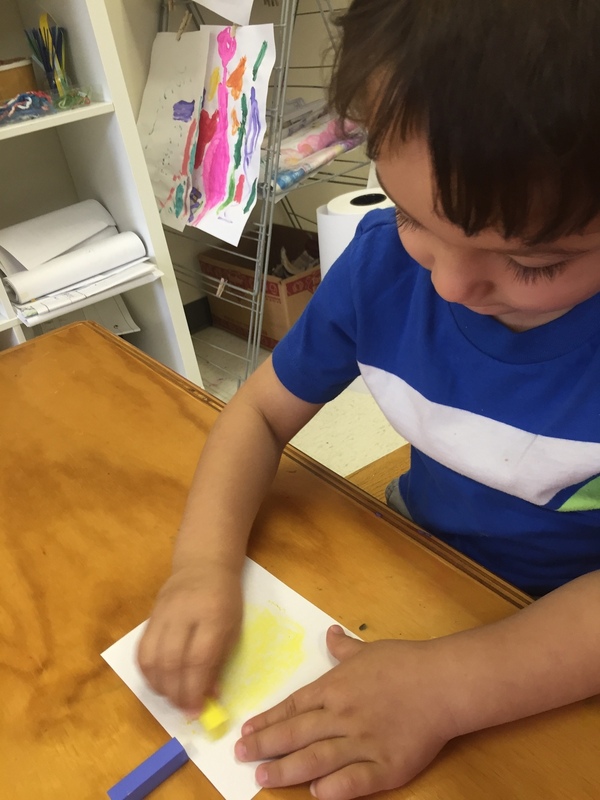 We began the exploration by asking the students a question: “If we mix paint to create new colors, can we mix the pastels to create a new color as well?” House Room students all agreed that the pastel primary colors would change! We immediately began to mix the colors to create our new ones. After a few moments of good effort, the children realized that the colors were not mixing. One of the other children thought the technique was wrong, so we adjusted the way we were holding our pastels and tried again. 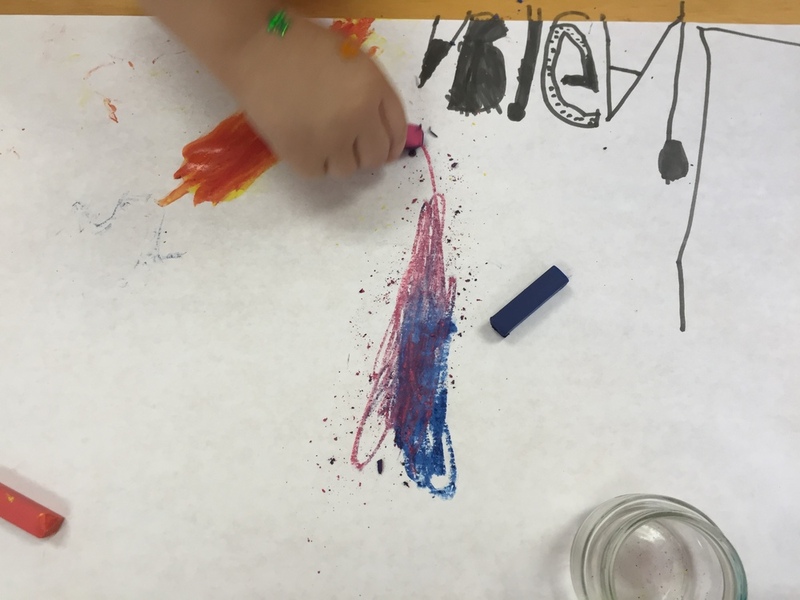 After our discussion we decided that water would be our best bet to make the colors mix! We got a small cup of water and began dipping our pastels in it to test our new theory. To our amazement the colors began to mix. Suddenly, we saw purple, orange and green! This activity was filled with valuable learning and skill-building opportunities. Using their prior knowledge about paint to draw conclusions about the unfamiliar chalk pastels showed the children’s understanding of comparison and contrast. The children built upon teamwork and problem solving skills by troubleshooting as a group. 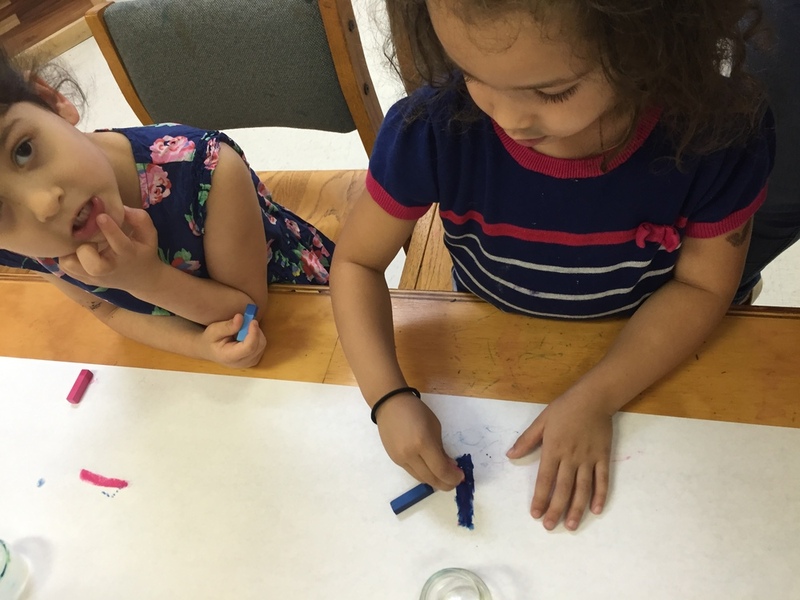 By practicing different techniques, the children worked on fine motor skills and learned about the concepts of angles and pressure. Science was brought into this exploration as the students honed the process of hypothesizing, testing and drawing conclusions. 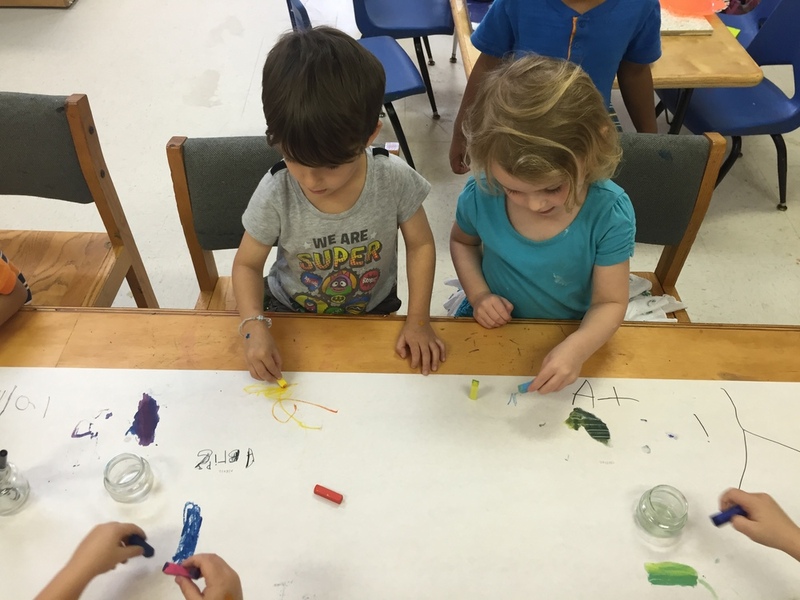 Communication was key throughout this entire process, allowing the children to practice communicative skills, build relationships and learn to value the input of others.